Dandelion’s successful corn product line has been expanded to include Attaching Links, made from the innovative cornstarch bioplastic, and now available in fun new colors. Say Yes, to cornstarch….it has No BPAs, No Phthalates, No PVCs, and No Lead! Corn is a renewable and sustainable resource. Encourage curiosity and grasping, with this versatile set of 6 textured Links. 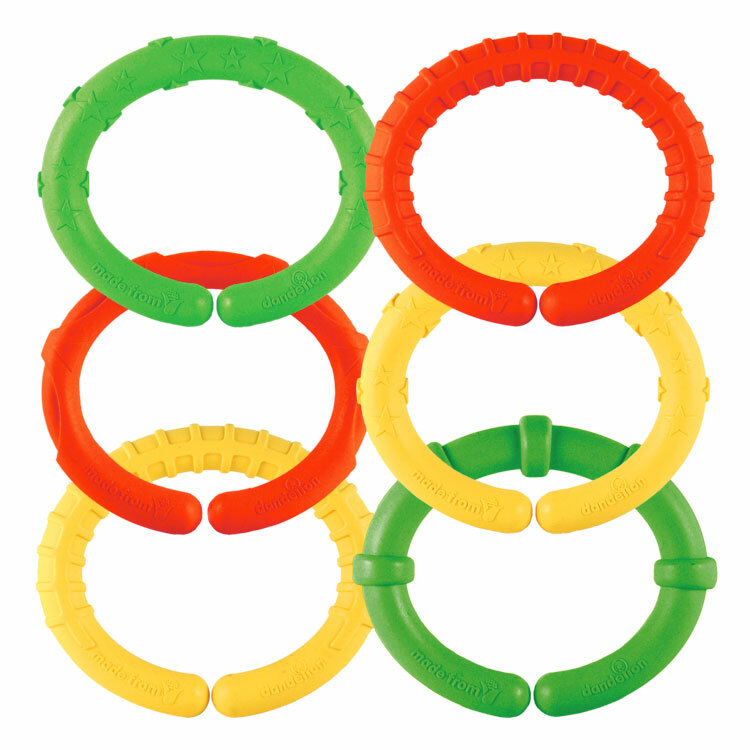 Stimulate baby by fastening toys within their sight & reach with red, green and yellow links that are safe for teething.